Sports fan, entrepreneur and betting fan Brandon Ramsey has launched a new Facebook app, Fanhood, which provides users with a one stop destination to banter over games, make virtual currency bets and access a record holder of bets and predictions. A new Facebook app, Fanhood, provides everything the social sports better could possibly need. The app launched in October and currently has 170,000 users, 10,000 of which use the app daily and over 40,000 use it monthly. While Fanhood isn’t the only app of its kind, its simplicity and variety set it apart from the competition. Users can bet on games, March Madness-style tournaments, bingo –style cards and much more. It makes excellent use of Facebook’s social features allowing players to bet against friends on mutually interesting matches and it supports the majority of major sports leagues. Players can even bet on sports trivia quizzes challenging friends or playing against the house. 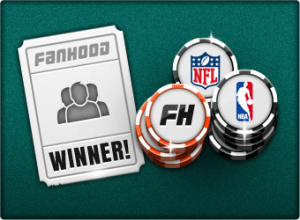 At present there are 10 fulltime employees at Fanhood who come from companies such as Yahoo and Zynga. While Ramsey wouldn’t reveal the company’s funding, it is known that First Round Capital, Mayfield Fund and Foundation Capital have invested.